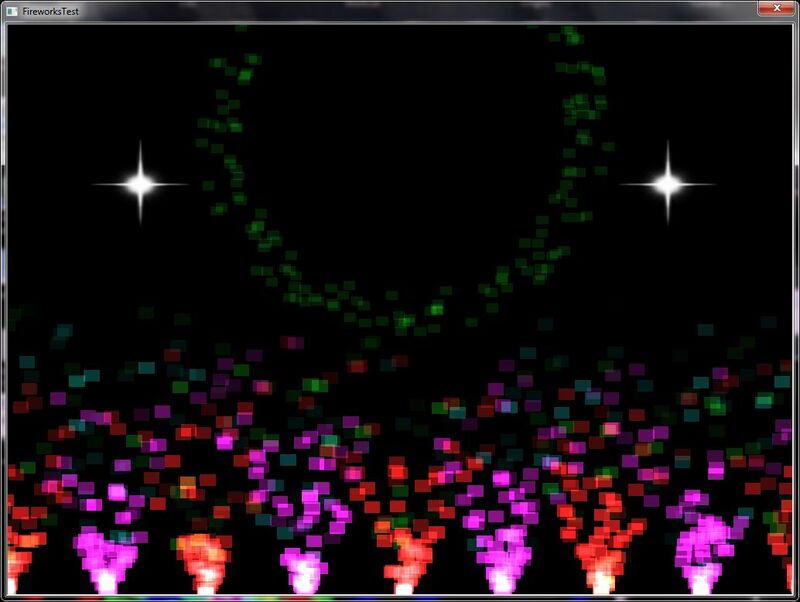 Fireworks was given to me as a programming test as part of the recruitment process of my current employer (Inspired Gaming Group) and I enjoyed developing it quite a lot, since this was my first take ever on particle systems. 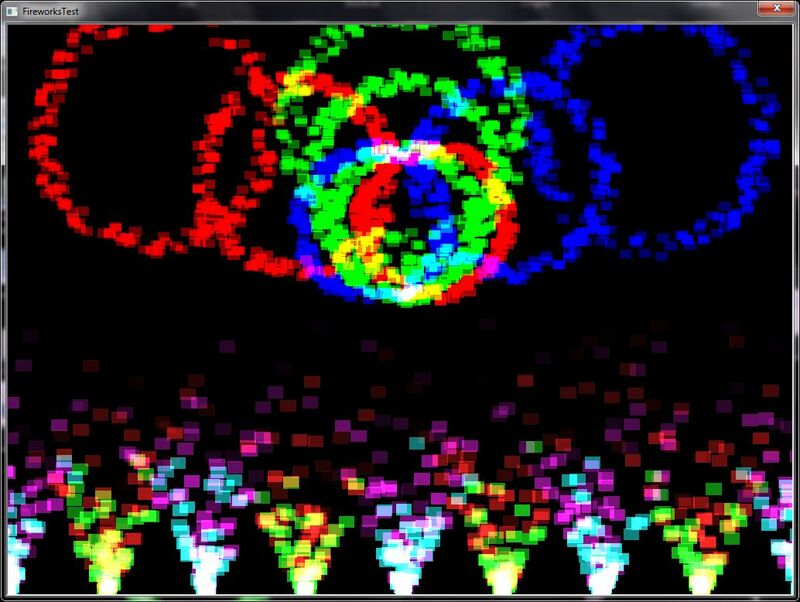 The application creates and playbacks a firework display in a loop. The description of the "show" is read from an XML file upon loading and includes the types of the fireworks to use and their properties, such as colour, speed, duration and position. 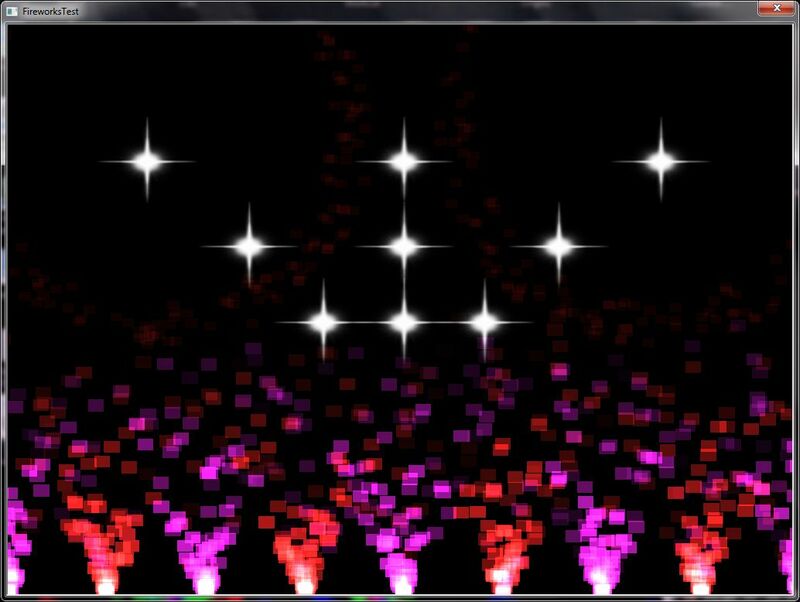 Each firework is a different particle emitter. The system was written in such a way, so that it is easy to add new effects by either combining the existing emitters or writing completely new ones.